Our Bridge Inspection teams have inspected over 2,000 structures owned by NCDOT and municipal-maintained bridges and culverts. Tasks include the routine inspection, documentation of findings, repair recommendations, WIGINS reports, load ratings and load posting recommendations. 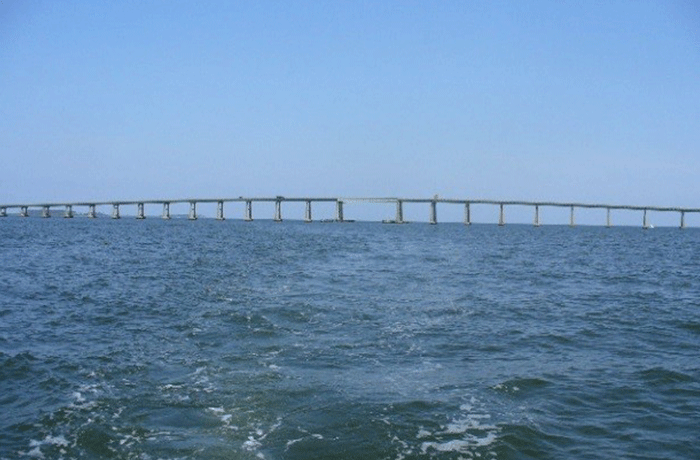 One such project was the inspection of Dare County Bridge #9, William B. Umstead Memorial Bridge, carrying US Highway 64 over the Croatan Sound in Manteo, North Carolina. This project required the use of a snooper truck for the 2.7-mile long structure. 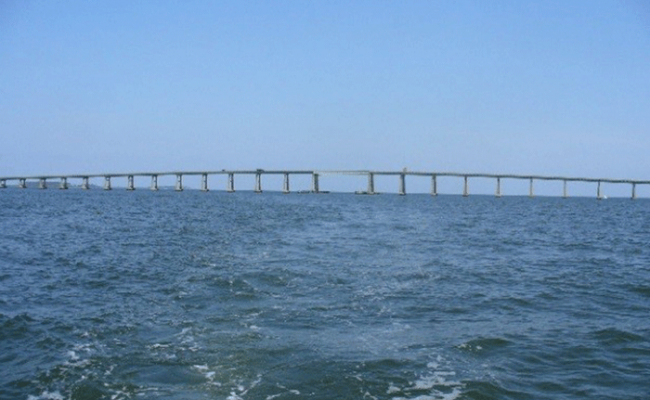 Image shows elevation view of US 64 over Croatan Sound in Manteo, North Carolina.